The Willow Water Hole (WWH) has moved forward with the development of an urban fishery and Texas Fly Fishers (TFF) has been an integral part of it. 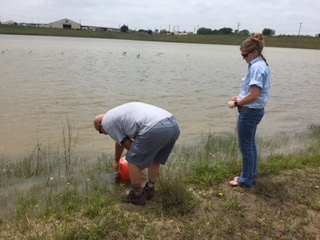 Of perhaps greatest importance is that Texas Parks and Wildlife (TPW) has begun stocking the ponds. 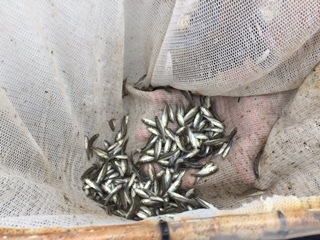 In late March TPW stocked the ponds with bluegill and put largemouth bass in on April 25th. There will be a third stocking, catfish, in the fall. This is a major step forward and constitutes the basis of the fishery for the future. Many thanks to Alice Best and Mark Webb of TPW for making this happen. In addition, a city wide fishing tournament that targets invasive species primarily, grass carp, will be held September 17, 2016. This date coincides with the Harvest Moon Festival currently being held at the Willow Water Hole which includes music, food and other activities. While the event would allow for participants to fish anywhere in the Braes Bayou Watershed the tournament would be headquartered at the WWH and all associated events including the weigh-in and awards presentation will be located there. 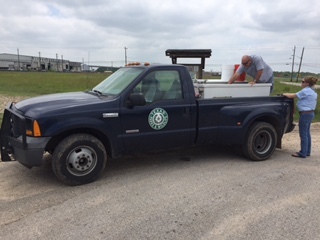 This is planned as a major conservation event with city wide and regional support from a variety of sources including Texas Parks and Wildlife, Wilderness Houston, Houston Parks Department, Texas Fly Fishers and the WWH. There is a team that has been formed of which TFF is an integral part. We will help organize, promote and implement the tournament. Many of the details are still being worked out but it is being structured to solicit the greatest number of participants possible and will require some participation by TFF members the day of the tournament. It is important to understand that one of the basic purposes of the tournament is to educate the public about invasive species and mobilize support to control their population and inhibit the introduction of new species which crowds out our native fish. In conjunction with the tournament there will be a casting competition co-sponsored by TFF and Orvis. We are also consulting on the design and construction of a fishing/casting pier/walkway which will also be suitable for launching canoes, kayaks and float tubes as well as casting classes and fishing. Please let me know your thoughts. Any input is appreciated. Killing Carp sounds like fun! But those guys don’t like to play much with fishermen. Can we bring our bows? Great stuff Mike – glad to see TFF involved! Will be a great place for teaching casting, conducting the academy, and yeah…fishing! I am interested in getting information how to join TFF or how to get more involved. I am just starting out/getting into flyfishing. Please come to our monthly meeting tomorrow evening at the Bayland Community Center at 6400 Bissonnet. Please note the map on the TFF homepage. Lots of knowledgeable fly fisherman anxious to help. Glad to see you’re monitoring. How are things in Houston? I’m one step closer to being FROM Houston. House is under contract. Joseph, The best way to get joined is to attend the monthly meeting, which is tomorrow night at Bayland Community Center.